Enjoy a peaceful vacation with stunning sunsets in picturesque Indiantown Village. 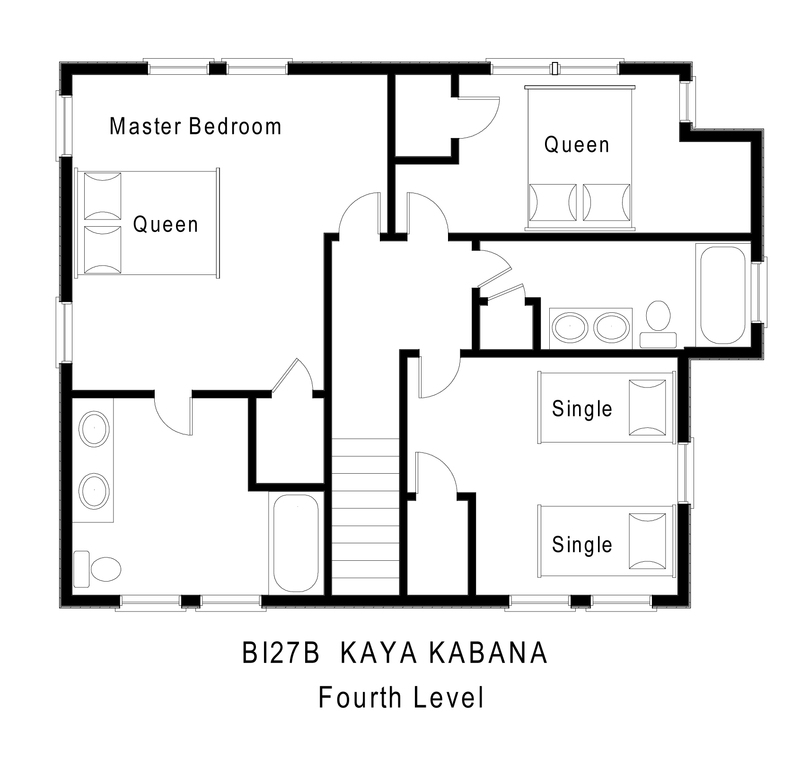 With ample gathering spaces and TVs in each bedroom, Kaya Kabana is a soundfront getaway the whole family can enjoy. Enter on the ground level through the front door or the laundry area. Down the hall is the game room with foosball table, wet bar with full fridge and microwave, TV, Xbox, and two daybeds for relaxation. Take in the breeze from the porch swing on the shaded soundfront deck or chill out in the soundview hot tub. A bedroom with a queen bed and a bunk set is also on this level, along with a full bathroom off the hall. 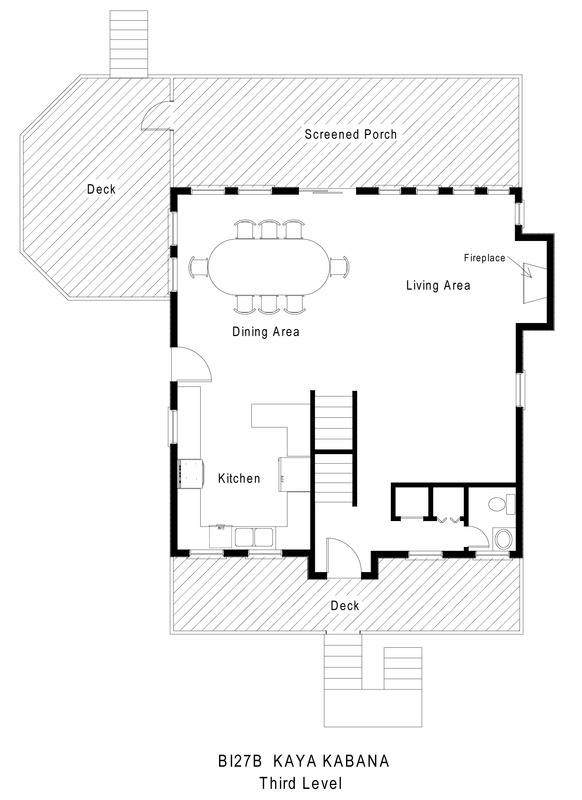 The middle level is the main living level, with open living and dining area and adjacent kitchen. Feast your eyes on exquisite sound views from both inside the house and outside on the comfortable screened porch and spacious sundeck. Relax in front of the fireplace on cooler off-season evenings or enjoy a book or game for a little quiet time. A half bathroom down the hall completes this level. Three additional bedrooms are upstairs. The king master bedroom and a queen bedroom offer sound views you will relish waking up to. 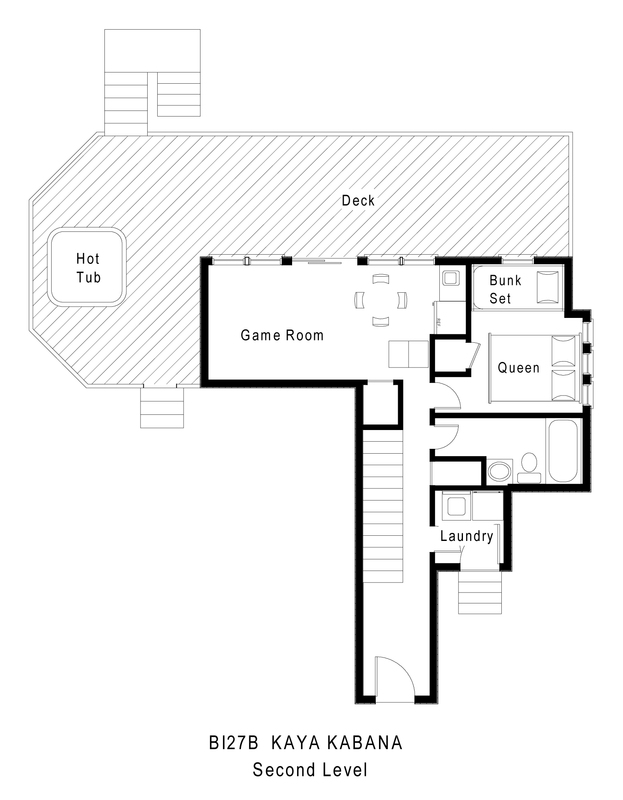 A bedroom with two single beds is also on this level, along with a full bathroom off the hall. The fun continues outside, with a private pool with available heat, lockable storage for kiteboarding and windsurfing gear, and private walkway to a sandy beach area on the sound. Two kayaks and a canoe are also provided so you can spend your days paddling around the Pamlico Sound fishing, crabbing, and clamming. Walk the pups or ride bikes through the quiet, wooded neighborhood. Beach access is not far, and the Cape Hatteras Lighthouse is a short drive away as well. Grab a slice of paradise at Kaya Kabana! 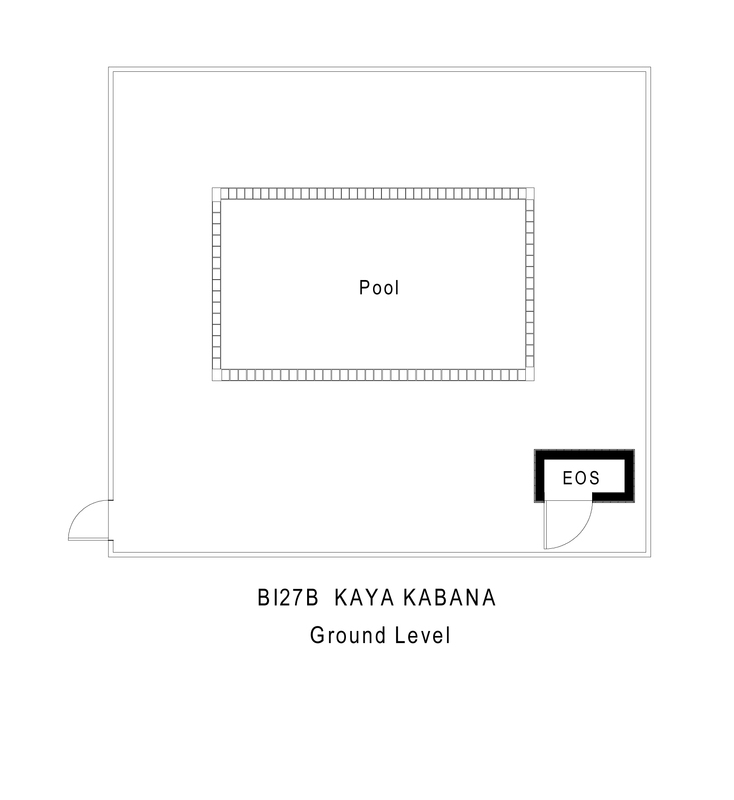 We love Kaya Kabana. We have already booked our stay for next year, which will be our 3rd year! It's a cute house on top of a hill overlooking the sound. You feel like you're at the ocean on top of the world. Great location in between Frisco and Buxton, 10 minutes from Hattarras and 20 minutes from Avon. The house was even better than the pictures. The house has everything you need. Don't even need to bring sand toys if you don't want too. This house far exceeded our expectations. The photos are good but they do not do the house justice. From the moment you walk in, you see the water. We have been coming to OBX for many years, stayed ocean front several times, but this was our favorite home so far. Just bring your clothes and toiletries. Everything else is already provided!